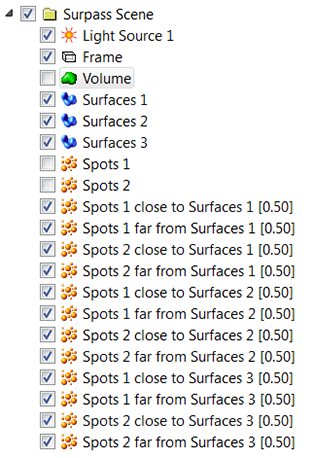 In this How to section we will introduce the Spots Close To Surface XTension. 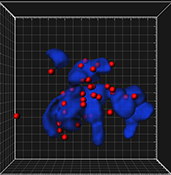 Out of all previously created Spots objects, this XTension finds the subset of Spots that are closer to the Surface objects than the user specified threshold. The result of this XTension could be particularly useful for the identification of clusters or aggregates of objects based on the distance to the selected Surface object. 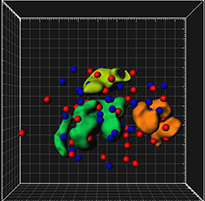 Based on the clustering distribution, objects located outside of the defined region may be easily excluded from the result analysis. To run this XTension, you should first create at least one Spots and one Surface object. 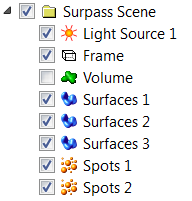 The Spots Close To Surface XTension is available under the Tool tab for both Spots and Surface objects or under the Image processing menu. Click on the Spots Close To Surface button to start this XTension. In the Matlab window, enter an appropriate value for the threshold and confirm it. The distance between each Spot object centre and the nearest point of the Surface object is calculated. As a result of this calculation, two differently coloured Spots groups are displayed in the viewing area. 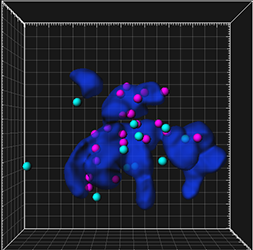 One set of Spots, located inside the threshold defined region are show in magenta, and the anothergroup of Spots, whose shortest distance to the Surface exceeds the specified threshold are shown in turquoise. 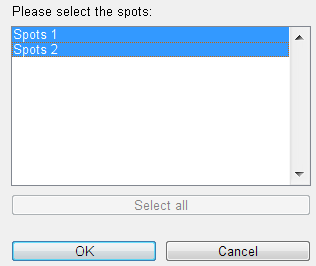 In the Surpass tree, two new Spots objects are created. The names of the newly created Spots objects are automatically generated and specifying the Spots object number, the proximity to the Surface object and the threshold value. If either multiple Spots objects or multiple Surfaces are created, this XTension produces a result for each selected pair of or Spots/Surface objects. 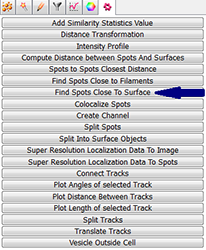 Similar to the previous section you can find this XTension, under the Tool tab of any created Surface or Spots objects. 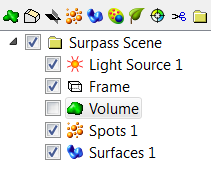 Start the XTension and in the sequence of Matlab windows, you select which Spots and Surfaces objects should be used for calculation. Select All button allows you to select all objects from a list. 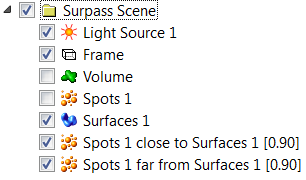 Specify a threshold value and for every selected Surface object, and every selected Spots object two subsets of Spots are created, according to their proximity. 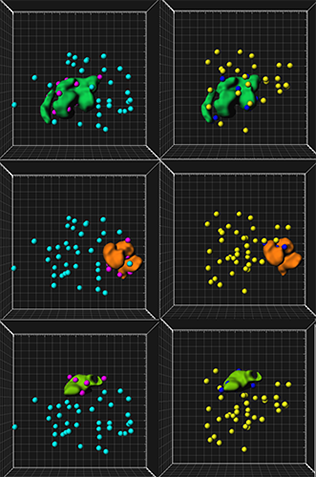 In the Surpass tree, the number of newly created objects is double the number of selected Spots objects, multiplied by the number of selected Surfaces. 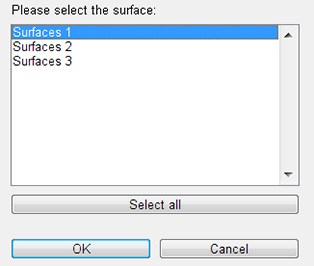 To show the preferred combination of objects select or deselect the check box next to the object’s name.